Matured in a mix of sherry and bourbon casks before marrying the two, this is part of the recent welcome rennaissance in Irish whiskey. The mix of woods gives it great depths of flavour and complexity. Toffee, vanilla, toasted almonds and honey all compete for the taste buds with a long finish emphasising oak and dark chocolate. 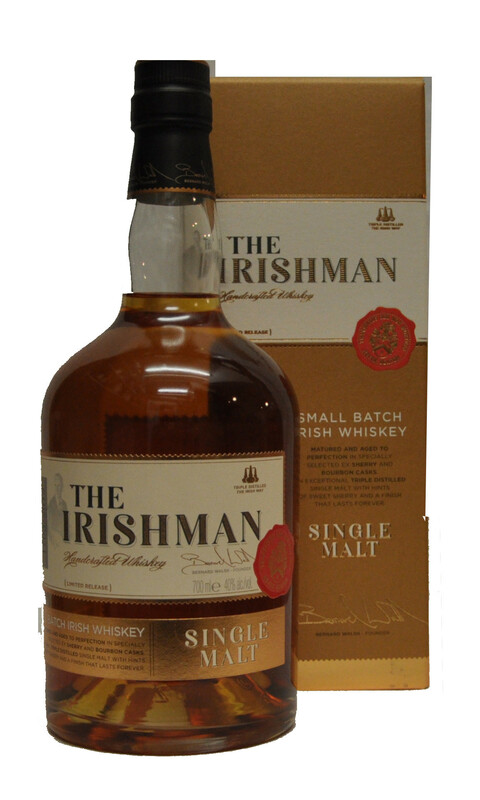 It is selected and bottled in small batches, with each bottle carrying the batch number and the signature of founder Bernard Walsh.